1) Prior to 1971, Lakeview Drive, formerly known as Lake Earl Road, did not dead end at the lake, resulting in a walk of more than 1,000 feet. The exercise of the county's easement to the lake has significantly increased hunters, fisherman, and crime. 5. Some of the dead animals in the piles surrounding the lake include endangered species which is not surprising since a hunter can't tell the difference as to what he is killing when the bird is almost completely out of visual range. 6. With respect to over fishing, because of salt water contamination caused by incompetent breaching, the only fish that is capable of living in this lagoon (formerly a lake) is sturgeon who's numbers have dwindled so much due to overfishing that the fish's presence in the lake is almost extinct. Fisherman will commonly kill every sturgeon they can get their hands on, gut the fish for the eggs, and the leave the rotting fish carcasses on the side of the road at the entrance to Lake Earl. 7. 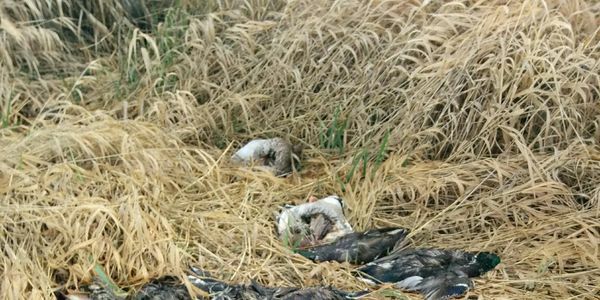 A number of hobby farmers around the lake have reported hunters killing their geese in front of their homes. Other factors are that most of the dead animals the hunters kill are left on the street and rarely taken home, and I have pictures to prove it. This includes dead deer, big piles of dead birds. Yet the California Department of Fish and Wildlife is defiant and will not change their position. And still another factor is that a number of endangered species have shown up in the dead piles of animals and it isn't possible for the hunter to determine what species a bird is when it is more than 100 feet higher than where he is standing. And most importantly it is completely ludicrous for the California tax payers to pay for a Wildlife Preserve when the state is making money from hunting licenses on this property. It defeats the whole purpose. As the record stands, the state would be better off giving the property back to the Tolowa Indian Tribe who's land was taken away from them by force during a big massacre.